When you look at Theranos Edison machine it looks a lot like a laser printer size device. Watching the HBO The Inventor documentary is a good lesson in not what to do. Elizabeth Holmes in one scene claimed to be an engineer. 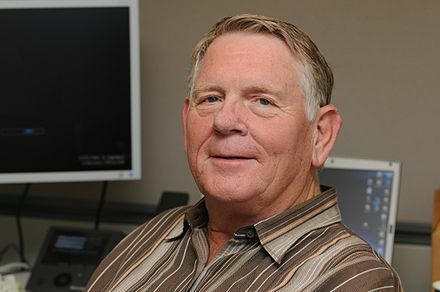 To me an engineer is a person like Gary Starkweather who is the inventor of the laser printer. Think of what Gary figured out 50 years ago. He said let’s replace the white light copier method with a laser light to rasterize the image. We can print anything a computer would image. In 1970 so many Xerox executives in the copier business argued against the project. Luckily Gary was able to escape Xerox HQ and go to PARC and continue his effort. At PARC Gary was surrounded by people who were inventing ethernet for networking, postcript for graphics and type, mice, and ultimately after the work was done people wanted to print it. With what? A dot matrix printer. ugh. The first laser printer printed 4 million pages in one year at PARC. Unfortunately, 50 years ago Gary wasn’t considered a hero at Xerox HQ to the point where let’s reward him for his effort. He didn’t own half the company like Elizabeth Holmes. What Gary did do is he persevere in proving every denier wrong that his invention, the laser printer would work. At the same time he built an elegantly simpler way to print leveraging the power of lasers and computer circuits to rotate the mirror and aim the beam. If anyone symbolized the gulf separating the inventors of the future in Palo Alto from the Xerox development drones back East, that person was Gary Starkweather. I never met Elizabeth Holmes, and I can’t think of many who would be brag of knowing her well. I do know Gary Starkweather. We worked together at Apple discussing scanning, imaging, and printing issues. When I went to Microsoft in 1992 I would keep in touch with Gary and we would chat regularly as I was still working on fonts, printing, and imaging issues at Microsoft trying to figure out what Microsoft needed to do to have a presence in the desktop publishing industry. In 1997, in one of discussions Gary expressed his frustrations and I told him why doesn’t he join Microsoft. Made introductions. Microsoft HR was all over it, claiming they bagged a huge win. Which nicely turned into a good offer for Gary to join Microsoft Research. Gary and I chatted when he joined the company and we were both in Redmond. So I know the laser printer story well and what Gary is capable of as a true inventor. When I realized the way to solve the construction information problem, it reminded me of the challenges Gary had when people wanted to do things the same way they had done in the past. In construction most investments that are called innovative are so many times just digitizing of manual processes to mobile devices. Gary is 80 years old, and as sharp as ever. We chatted and I wanted to see what he thought of the invention that I had. He agreed it was big and good. And I asked if he would be an advisor. Gary said absolutely. Good ideas get better when you get smart people to make input and you listen. I don’t think in the story of Elizabeth Holmes’s Theranos story she says she discussed her invention with another smart person and they pointed out an area that needed to be addressed. I have been in Seattle area for 27 years. And the area is known for being cloudy. The top cloud companies Amazon and Microsoft are headquartered here. Google has a large presence. Faceebook too. 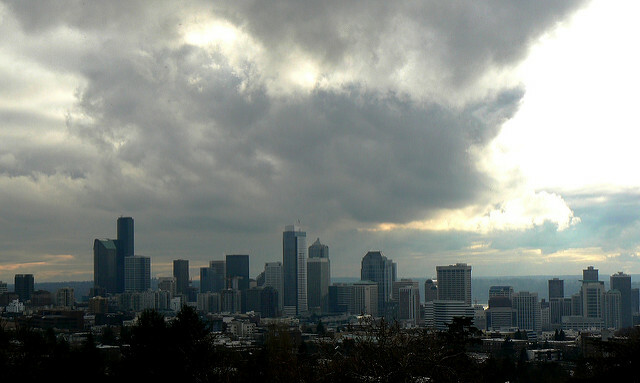 Seattle has the highest concentration of cloud workforce in the world. T-mobile is headquartered here. AT&T has a large presence in Redmond. 5G requires a cloud-native core. You go to Ericsson, Huawei, and Nokia’s 5G architecture and they all mention cloud. Here is Nokia. Chatting with a friends and family we have made the observation that it is extremely hard to hire cloud operations staff. If you want to learn and be trained you go to Amazon, Microsoft, or Google. And many go to multiple. Then you look for whether you want to go to a startup and try that path or be a free agent go where is the top money and build up your resume. In this plan do any of these people say I am going to spend 5-10 years working on my resume then I am going to work for a Telco. No. Every Telco has failed with its own cloud services. What would lead an educated cloud expert to think going to a Telco will be worth their time. Seems riskier to go to a Telco than going to a startup. Now some of you may disagree with this view. That’s OK. The problem is there are lots of cloud people who have no plans to even look at a Telco cloud operations job. So the Telco is faced with the option to retrain its existing staff for cloud operations which is being done with SDN, NFV, and VNF. Yeah try to figure out what that stuff does and how it fits together. :-) And it requires system level skills as a service based architecture is about how all the pieces work together. On top of that the number of 5G radios deployed will grow a magnitude or more to support the latency, throughput, and range issues of the new spectrums. If you listen to the 5G hype you think it is right around the corner. The problem is cloud operations staff will severely limit rollouts at scale.